If you missed Part 1 of this series, take a moment to check it out here! Create music with your child. Musical Benefit: In these free play activities, your child learns the names and how to play a variety of instruments, begins to feel the beat or rhythm of music, learns the letters of the music alphabet, and is introduced to composing music. Even if you've never played a musical instrument before, you can still create music with your child! 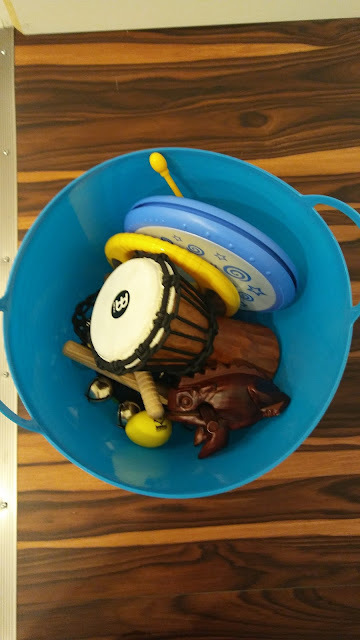 Gather up a variety of instruments--shakers, drums, triangles, rhythm sticks, bells, xylophones, tambourines, harmonicas, guiro, castanets--and then turn on some music and improvise! Children appreciate the chance to pick and choose different instruments to play along with upbeat music. You and your child can even make instruments together! On Facebook, Learning By Step recently shared this useful link on DIY instruments. Learning By Step specializes in musical activities for children, so be sure to follow them on Facebook and/or subscribe to their site for even more ideas! Write the individual letters of the music alphabet (A, B, C, D, E, F, G) on small slips of paper. Fold the pieces of paper and put them in a cup. 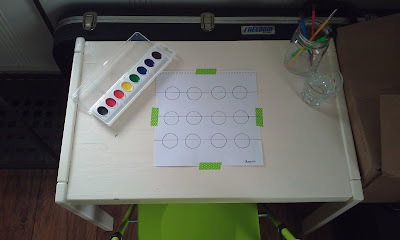 Draw circles on a piece of paper and prepare watercolor supplies. Have your child randomly select a letter from the cup and find that letter on the bell carousel. Then, paint a circle in a color that matches that bell. Continue until all the circles are painted and then play the song on the bell carousel. Musical Benefits: Your child will begin to learn what genres of music he/she likes or dislikes. Listening to music with your child is one of the easiest ways to encourage his/her musicality. Play something quiet and relaxing right before nap time. 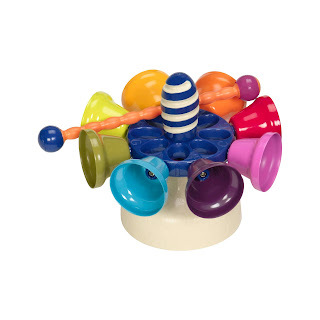 Have something fun and upbeat on during playtime. Turn on the radio while you are in your car running errands. 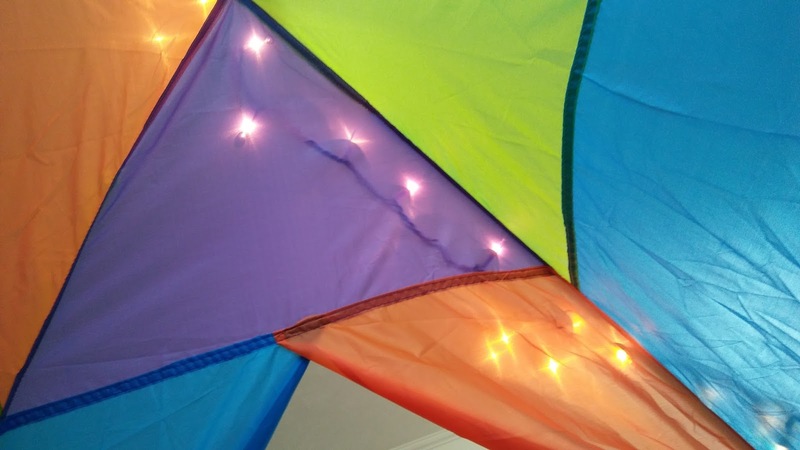 On rainy days, set up a little tent in your living room. Turn on a Baby Einstein DVD (Bach, Mozart, or Beethoven are especially nice) and cozy up with blankets and snacks! When your preschooler needs to get the wiggles out, turn on some energetic music and use scarves, a parachute, or bounce balls to the music! Or, try a "freeze dance"--dance to the music and stop when the music is paused. Hopefully, these ideas will provide you with a start as you encourage your preschooler's musicality at home!